For photography novices, the D3400 offers automatic settings that enable point-and-shoot simplicity. 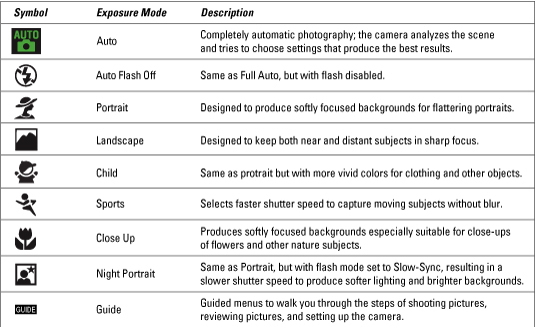 The settings listed here help you capture the most common types of subjects; just set the Mode dial to the icon shown in the table. For automatic photography and movie recording using special effects, set the dial to Effects and rotate the Command dial to select an effect.